Heads Up! Make sure WPML is installed first! Please make sure you have WPML installed and activated before translating widgets and homepages. If you haven’t already done so, you still can install this plugin before proceeding to the following steps. If you are starting to create a multilingual website, chances are that you will need to translate your homepage and its widgets. First, you will need to translate your homepage. 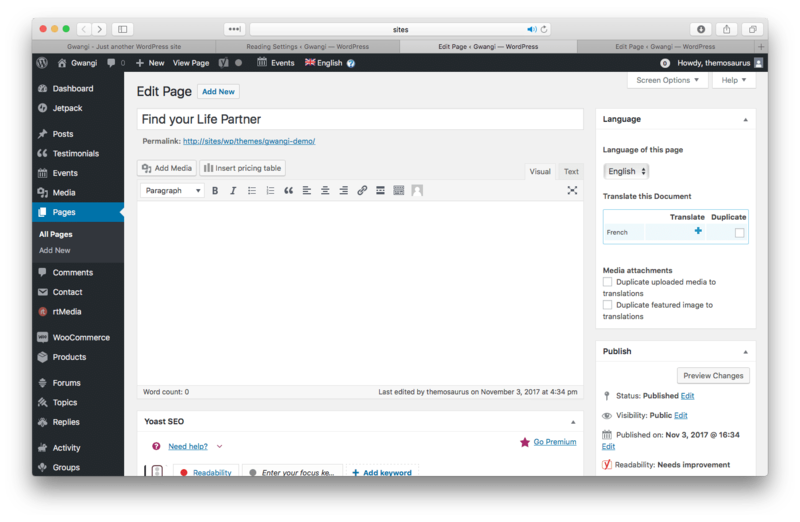 Open your homepage and click Edit Page in the top admin bar. Then find the Language pane and hit the + button. 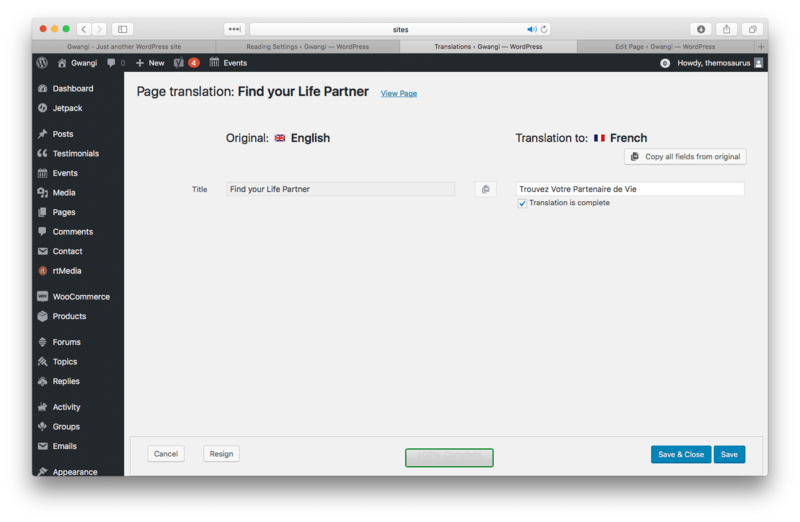 Then translate the title for the homepage, check the Translation is complete and click the Save & Close button. If your theme has already been translated in each required language, you should already see translated paragraphs in your homepage when you switch languages. Go to Appearance > Widgets to translate the Section Widgets displayed in the Homepage widget area. Change the selected option in the Display on language dropdown list. By default each widget will be displayed in All languages. 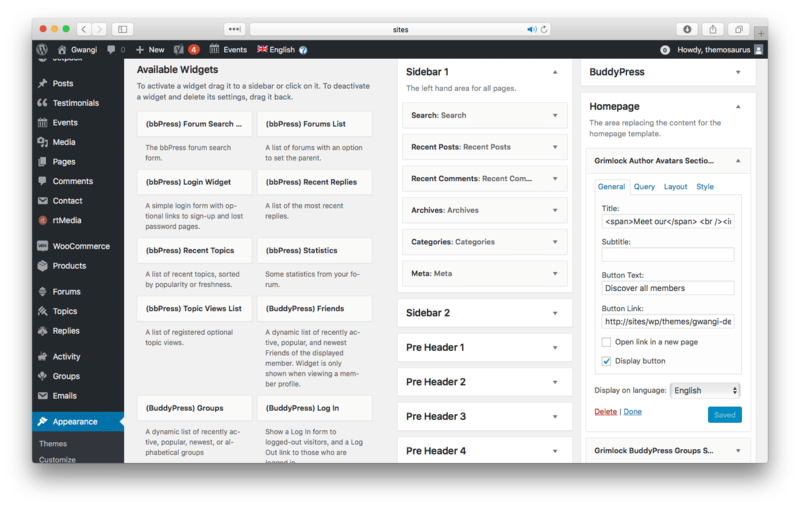 Then drag and drop any widget to your Homepage widget area and translate the content. Don’t forget to change the Display on language to make sure it will be shown in a different version of your homepage. You can save time in setting translated widgets if you can duplicate them using the Widget Clone plugin or similar. Just repeat this process for each widget to display in multiple languages. Congratulations, your homepage has been fully translated! 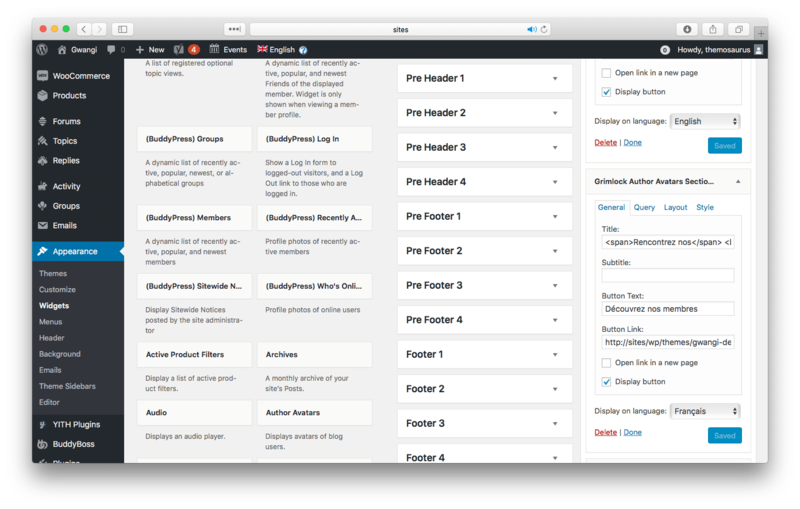 Remember that your theme support multiple homepages when the Custom Sidebars plugin is installed. So to translate your other homepages, just repeat the process described before.